Ships tomorrow if you order in the next 24 hours 44 minutes. Tired of foot odor so bad you can barely get yourself to put your shoes on anymore? 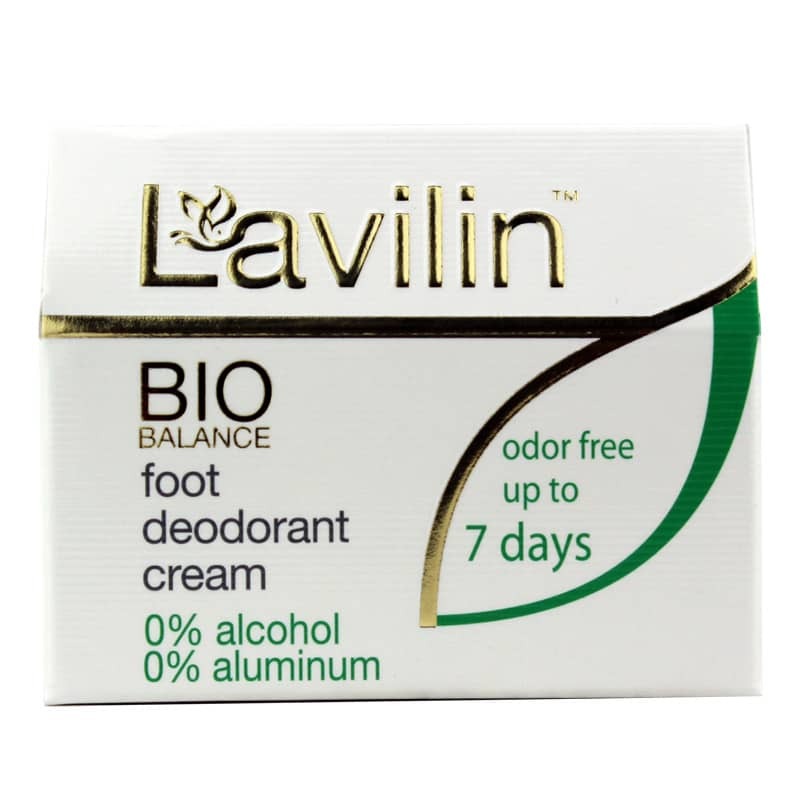 Hlavin Industries can help with Lavilin Foot Deodorant Cream, an all-natural aluminum-free cream that sends foot odor packing for up to seven days. Lavilin Foot Deodorant Cream is the ideal, all-natural and healthy way to combat foot odor, even in leather and sports shoes. Bathing, showering, sports, and other strenuous activities will not interfere with the performance of this product. Don't let smelly feet ruin your day. Grab some Lavilin Foot Deodorant Cream today, and see the difference it may be able to make for you. Order now! Ricinus Communis (Castor) Seed Oil & Hydrogenated Castor Oil & Copernica Cerifera (Carnauba) Wax, Talc (Pharma), Zinc Oxide, Potato Starch (Modified), Lactose, Milk Protein, Bifida Ferment Lysate, Ethylhexylglycerin, Triethyl Citrate, Chamomilla Recutita (Matricaria) Extract, Glycine Soja (Soybean) Oil, Calendula Officinalis Flower Extract, Arnica Montana Flower Extract, Tocopherol, Parfum (Fragrance), O-Cymen-5-Ol. Adults: Wash feet and dry thoroughly. With the enclosed spatula, place on your fingertip a small amount of Lavilin. Spread gently across the ball of the foot, upwards and across the base of the toes. For maximum effectiveness, recommended for use at night, before bedtime. 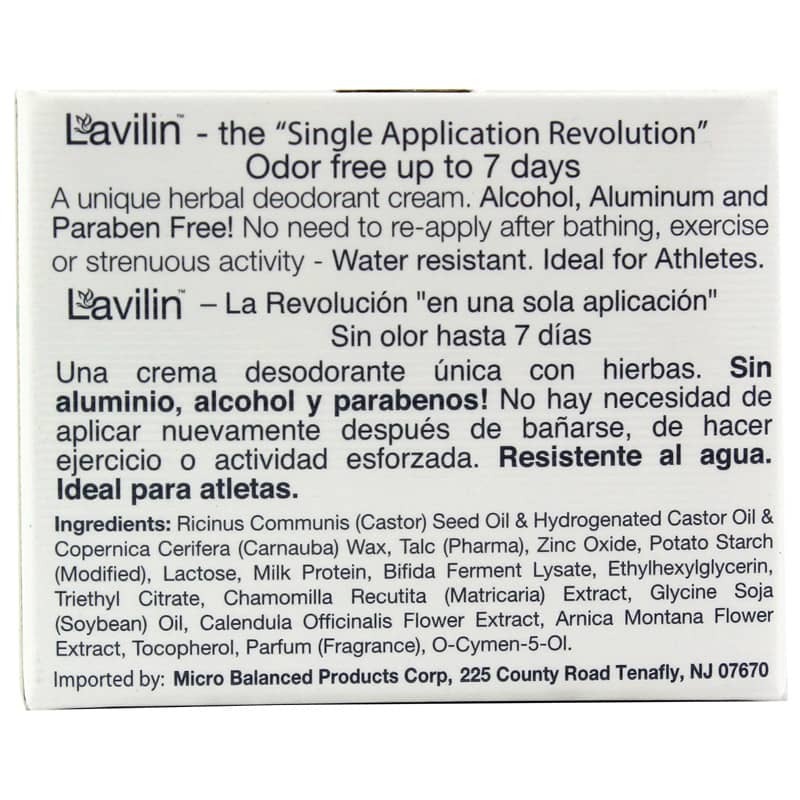 Re-apply Lavilin only when odor reappears. Do not apply to irritated, broken skin. Do not use together with other deodorants. Effectiveness varies depending on individual lifestyles. Use only as directed. Do not swallow. Avoid contact with eyes. Keep out of the reach of children. it needs at least 2 applications per week to be more effective. Love it! It delivered what they said it would!